"Living Proof: Telling Your Story to Make a Difference" helps everyday advocates and professional spokespersons use their personal stories to bring about positive change through speeches and media interviews. Advocating well with personal stories is not a call to simply ‘Insert Story Here.’ It requires elements of persuasion, public speaking, media interview skills and storytelling—all skills that can easily be learned and practiced. "Living Proof: Telling Your Story to Make a Difference," a new manual published by Granville Circle Press, is the first comprehensive guide that helps individuals tell their personal stories powerfully to bring about positive change. Written by John Capecci and Timothy Cage, communication professionals who’ve helped thousands of advocates and hundreds of organizations share their stories, the book is aimed at anyone asking "How do I tell my story and make a real difference?" Loren Vaillancourt, former Miss South Dakota, who, after her brother was killed in an accident involving a distracted driver, became a national advocate for stricter driving laws. Scott Harrison, founder of charity: water, who tells his story of transformation to gain support for bringing clean water to developing nations. Theresa Greenleaf, a Brooklyn mom, who advocated for allergen-free school lunches in order to protect children who have allergies or asthma. 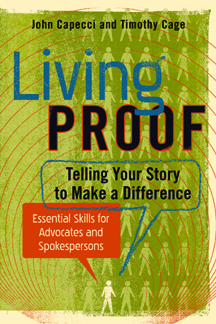 "Living Proof" also helps advocates prepare for print, radio, web and TV interviews, and includes more than 200 helpful tips, as well as interview-planning checklists. The book helps speakers at all levels understand the “Five Qualities of Effective Advocacy Stories” with topics such as Why and When Stories Work, Finding and Focusing Your Story, Hooks and Headlines, Delivering Powerful Presentations and Giving Great Media Interviews. “If we’re going to make a change, we’re going to have to tell our stories and tell them effectively. This book shows us how,” says Paul Loeb, author of "Soul of a Citizen," about "Living Proof." Other reviewers demonstrate the wide range of “storytelling advocacy:"
The book's readers connect with each other via Twitter, Facebook and at http://www.livingproofadvocacy.com, where they can download more resources about personal storytelling, public speaking and media interviews. Each month, "Living Proof" partners with non-profit advocacy groups and contributes a portion of sales to a variety of causes including disease research and awareness, environmental stewardship and social justice. Through inspirational guidance and practical how-tos, this new communication manual teaches individuals how to advocate for the causes most important to them by employing the single most powerful tool they have—their personal stories. To learn more, visit http://www.livingproofadvocacy.com. "Living Proof: Telling Your Story to Make a Difference" is distributed nationally by Itasca Books ($21.95, softcover, 212 pages, 6” x 9”. ISBN 978-0-9838703-0-2 Granville Circle Press). It is available at independent booksellers, major online bookstores and directly from Itasca Books. Quantity discounts are available for bulk orders and classroom use. 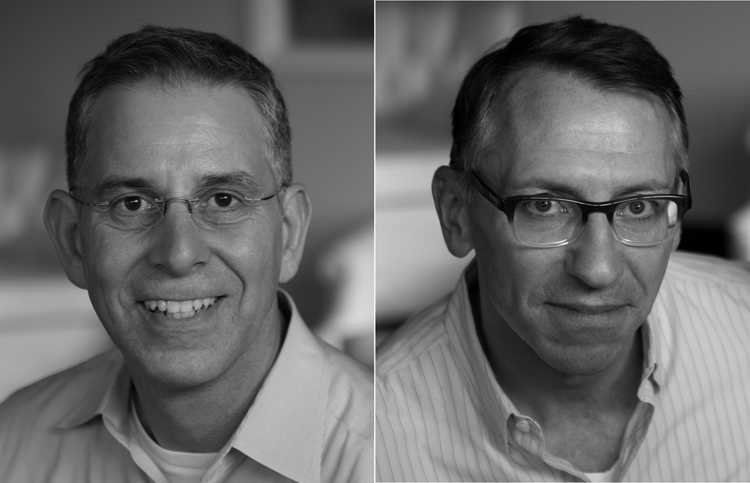 Authors John Capecci and Timothy Cage are communication professionals with offices in Minneapolis and New York. They work with a wide range of clients, from "ordinary" people, grassroots activists and first-time speakers, to CEOs, entrepreneurs and some of the best-known celebrities, media personalities and professional speakers in the world.